For long, design was an element neglected by web developers. This was because during the early years of the internet the importance of the aesthetics of a website was severely undermined as a factor for attracting visitors. But now, in this era of digital marketing, we understand that a website’s design and layout are just as important as content and usability to gain search engine rankings and to draw visitors. In fact, web design contributes not just to a website’s traffic, but also to its branding and conversion rates. As a result, today’s website designs range from the simple and minimalistic to the avant-garde and the eccentric. It should be noted, though, that overloading your website with design elements can be counterproductive and detrimental to your SEO efforts. Below we explore a few important web design principles that every web designer should keep in mind when setting out to build a website. Your web design should enhance your website’s usability instead of hindering it. For this, your design and layout should guide both first time and repeated visitors to easily and quickly understand the intricacies of your website, navigate through your links and find whatever they’re looking for. With most of the world using the internet to find and build daily solutions, clarity becomes a deciding factor. Most people visiting a website are looking for a solution for a specific problem, and unless the website in question is able to provide this solution in an easy, uncomplicated manner, they will move on. This is what sets apart the fairly successful businesses from the really successful ones. Your customers should be able to rely on you to deliver a robust and rich experience at all times. To realize this, make sure you invest in high-quality hardware and software to avoid server crashes and denials of service. Also, make sure that all the links on your website are updated and don’t direct to non-existent or broken web pages. A large percentage of users today access the internet through their mobile phones and tablets. This means that websites need to be robust enough to be accessible on various screen sizes without design crashes. While some website owners redirect their mobile visitors to tailor-made mobile websites, this isn’t always a feasible or affordable option. It is far better to implement responsive web designs in your websites. Responsive web design allows your websites to fluidly transition between various screen sizes, thereby eliminating the need for separate mobile websites. Even with the spectacular advancements in internet and mobile technology, most of the mobile internet users around the world are plagued by sketchy internet speeds and low quality hardware. This means that they would find it hard to use websites that are heavy in ‘rich content’, like images and videos. Too much of such content can also prove heavy on abrowser, making it use up more RAM and CPU, which in turn slows down the system and affects the web experience. Make sure your design utilizes visual spotlighting. This is a technique where your most important or most searched services are made to stand out and more accessible. This can be done with the use of colours, headings, bullet points and changes in copy like boldening, underlining and font variations. 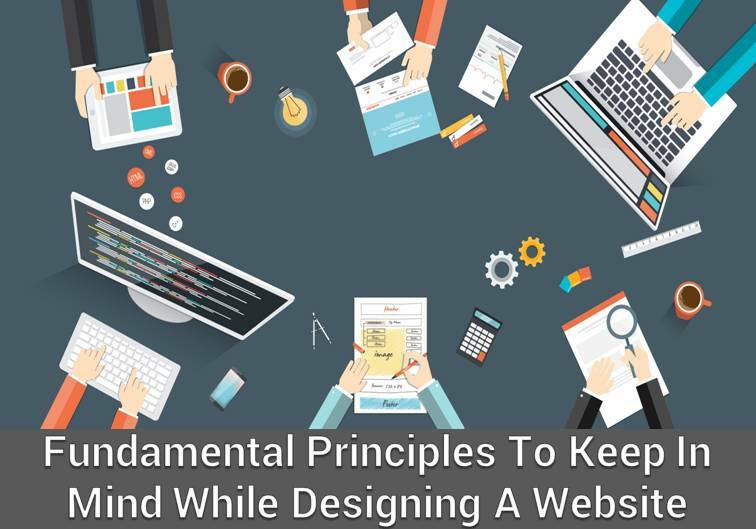 The gist of these principles is that any sort of web design should be implemented with the user in mind. Web developers must understand that a visitor coming to a website, directly or through a search engine, is looking for solutions to a specific problem. So the ultimate aim of any web design should be to help these visitors find what they are looking for, while enabling an easy and enjoyable web experience. If you are an individual or a business looking to better attract and engage with your clients online using powerful, effective and attractive web designs, we at Global Media Insight, can help you out. With over 16 years of experience in digital technologies and social and digital markets, we excel at driving engagement by optimizing your business’s online appeal, reachability and connections. Get in touch with GMI to establish effective and robust digital marketing strategies that span platforms and channels. Why Search Engine Optimisation? Why SEO?